This is pretty cool! 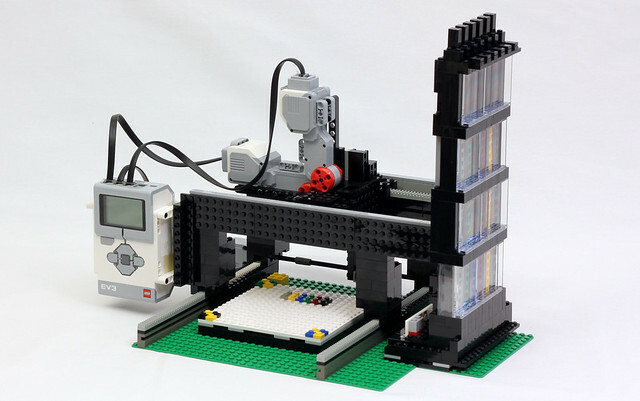 Thanks to the limitless possibilities of EV3 and the creative brain of JK Brickworks we can now watch a LEGO machine build a LEGO mosaic. Not only that, but he created some excellent videos to document not only the working machine, but some of the progress in building it. It's mesmerizing to watch, and fascinating to learn how it all came together.